It all started with Rowdy Girl, a little 2 month old baby calf that my husband wanted me to care for, hoping I would start wanting to be a “good” ranchers wife. I bought her for $300 having no idea that she would take me down the rabbit hole where I would come out on the other side of compassion for all sentient beings – even the ones that used to end up on my plate. The rest they say is her-story. 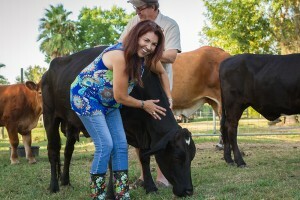 Becoming vegan for me has been a result of living on the Sonnen Ranch, now Rowdy Girl Sanctuary with my multi-generational cattle rancher husband – I couldn’t take the red trailer leaving with the babies anymore – As a result I started watching documentaries and slaughterhouse videos and when I made the corner, I’ve never looked back. Forever Vegan! I live on a 96 acre ranch with him. 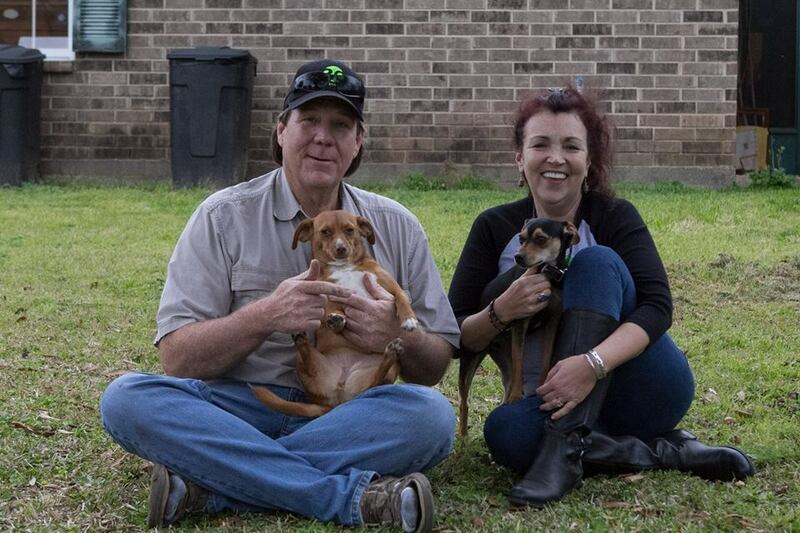 I was transplanted from suburbia to the ranch in 2009 – I fell in love with all the critters….kinda like Elly Mae Clampett – I named them all and loved them everyone – I’d go out and spend time with them, dance around them – sing to them and talk to them. Then they started being trailered up to go to the sale barn, and the experience of watching them leave, the mamas wailing for a week and the absence of their souls in the pasture haunted me. As a result of watching a Melanie Joy documentary on Carnism, I was set up on Halloween 2014, while at my mother in laws. She was serving Beef Stew and instead of seeing meat, I saw floating dead animal parts. 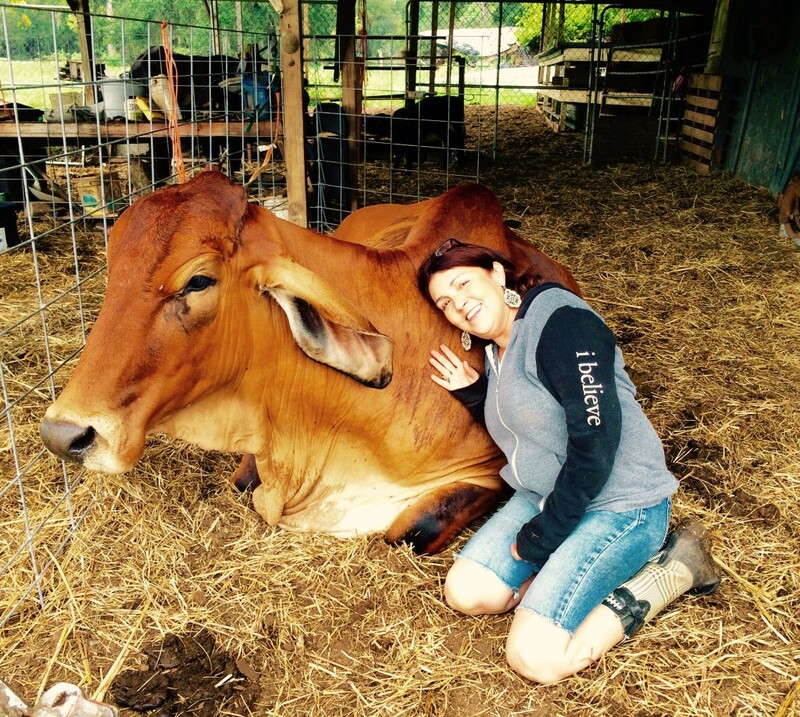 I’d been vegetarian in the past and even tried a raw diet for several months, but never had the compassion connection until I LIVED IT! I love these animals – I see their souls, and they see mine – I can tell they are looking at me out of the corner of their eye. They can feel our motives. I soon realized I could not stand to watch the babies leave their mamas even one more time to go to the sale barn FOR SLAUGHTER…and that I had to do something to prevent that from ever happening again. My husband had come to the end of his rope. He was ready to sell the entire herd and get out of the business altogether because of my revulsion to the ordeal. The idea to create my own Sanctuary to rescue all of the cows was born from this realization and I convinced my Rancher husband to work with me to make this dream a reality. Since he was at the jumping off place and was going to sell them all anyway, I asked him if I could buy them and if he’d give me a discount. He thought I had lost my mind, and frankly I had, but it was my only hope and because of compassionate vegans across the world, my project on indiegogo was funded early May 2015. We are home to cows, pigs, chickens, ducks, horses and a goat. I have a passion and love for FFA students that find their compassion and are unable to go to the final process which involves slaughter of their beloved animal. As a result of helping several of these families we are creating a program called “Families Choosing Compassion”. As a side note, my husband has watched every vegan documentary I’ve put in front of him – Earthlings, Cowspiracy, Forks Over Knives, Peaceable Kingdom, Planteats, Dying to Have Known, Foodmatters, The Beautiful Truth, Live and Let Live & The Witness. He is now COMPLETELY VEGAN. This has all happened since I went Vegan in October 2014. Visitors are coming regularly, my journal: Vegan Journal of A Ranchers Wife is now over 12,000 followers, Rowdy Girl Sanctuary page has over 15,000 followers. This experience has transformed our lives completely. Spiritually, I will never be the same – my destiny and calling has found me. At the end of my rope, when nothing but divorce and 30 slaughtered cows looked like the only way, a dream was born that was bigger than anything I could have ever dreamed up on my own. All of my skills are now being translated into veganism, animal rights, an old fashioned farm and creating lasting sanctuary for farm animals. We are located on Hwy 35, 50 miles southwest of Houston. Please support Rowdy Girl Sanctuary. 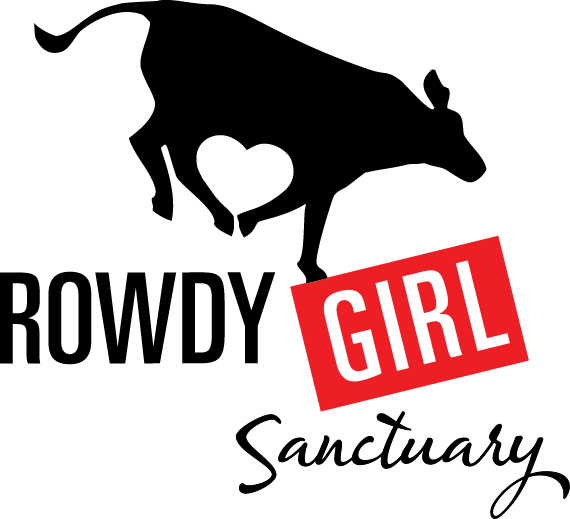 Rowdy Girl Sanctuary is a beacon of promise that the human spirit can – and will – rise and return to it’s innate propensity for respect, non-harm, and solidarity with our fellow earthlings. A transcendent meeting place of inter-species hearts, minds, & souls. Your heart will be nourished and your soul uplifted that our world can heal and re-frame.